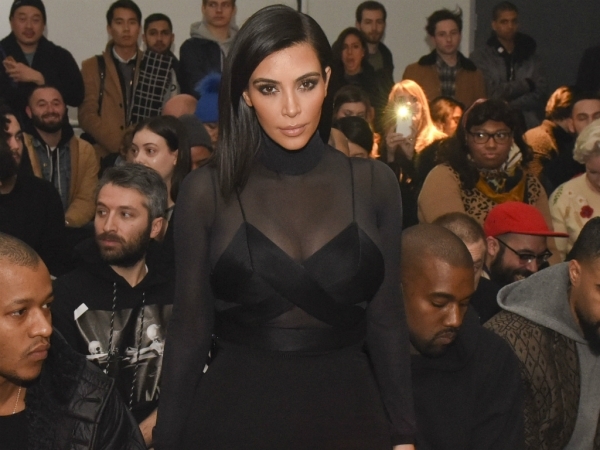 Kim Kardashian is reportedly doing "everything she can to fall pregnant". The 34-year-old star and her husband Kanye West are parents to daughter North, 22 months, and are keen to add another bundle of joy to their family unit. While it's been a struggle for Kim, it's thought she may be closer than people realise. "Kim's been doing everything she can to fall pregnant and friends say they wouldn't be surprised if she was already expecting," a source divulged to British magazine Closer. "She has been avoiding alcohol and wouldn't even have a sip of her favourite champagne at a dinner to celebrate her haircare launch in Paris. She has also been complaining of feeling quite light-headed and queasy at times and seemed really unwell after her flight." But it's not just her desire to be a mother again which is thought to have Kim desperate to be with child once more; it's reportedly a bid to maintain her marriage too. With their one year anniversary next month it's thought the brunette beauty has felt "more pressure" than ever with Kanye after fertility issues. During the family's recent promotional tour, which saw them visit Israel and Armenia as well as France, tension's were apparently high. "Kim told friends that North and the thought of another baby are the only things holding her and Kanye together," the source added. "Kim's said to pals that her hoped-for pregnancy will be the thing to fix everything and cement them as a family." Furthermore she reportedly knows how much the rapper wants to be a dad again, and thinks this could be the thing that "softens him".